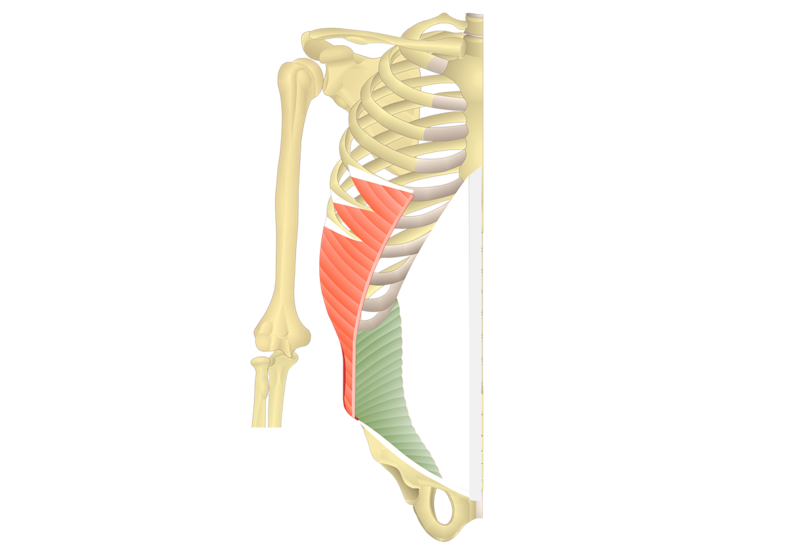 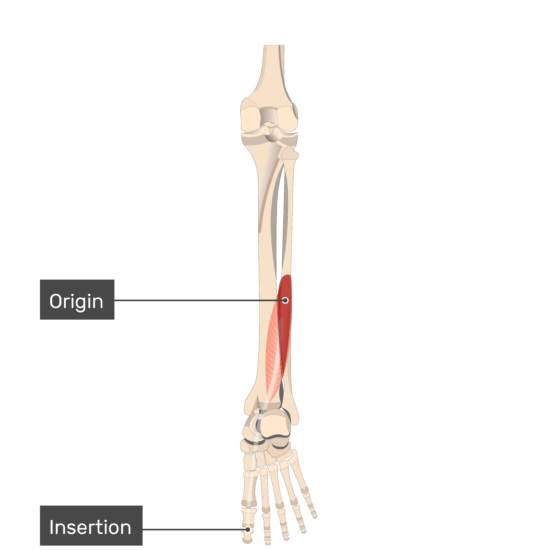 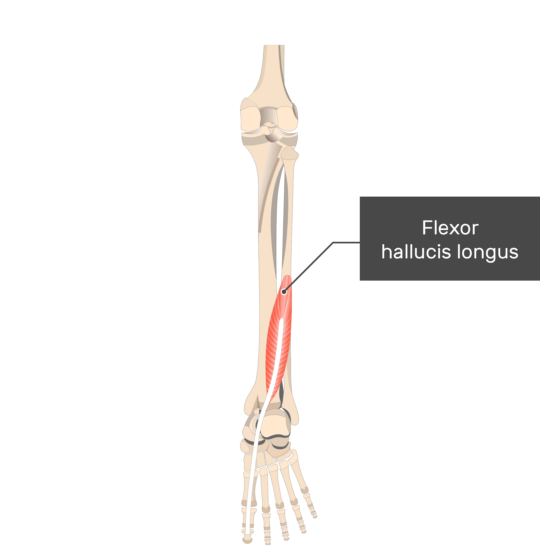 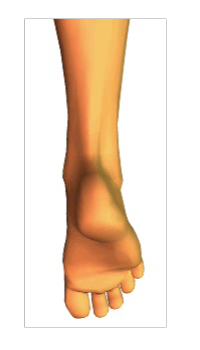 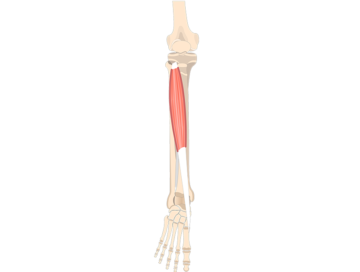 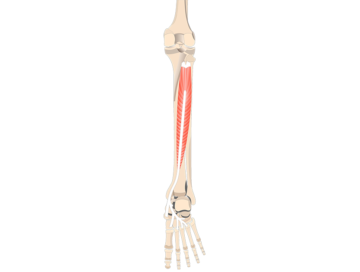 a. Distal 2/3 of posterior surface of fibula. 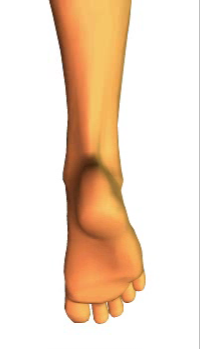 Base of distal 1st phalanx (along plantar surface). 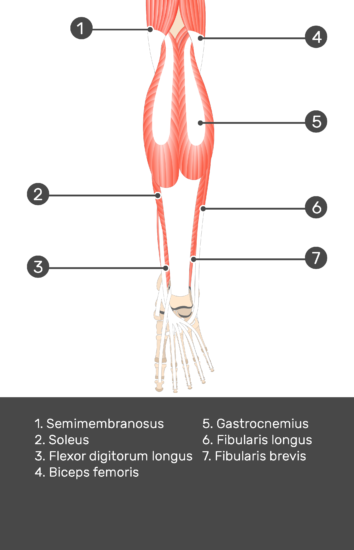 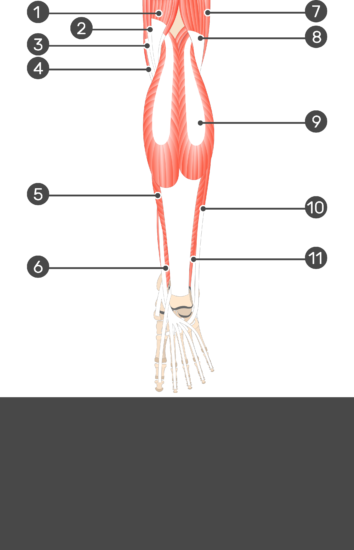 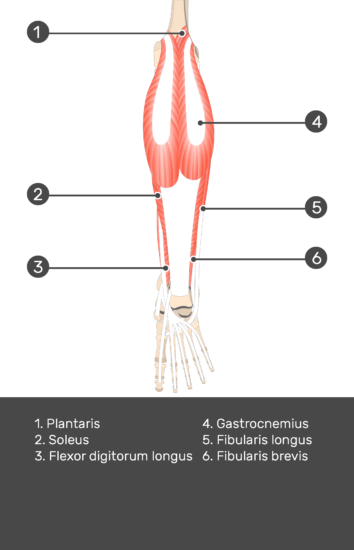 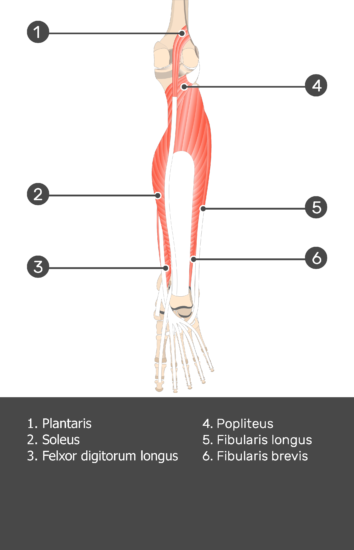 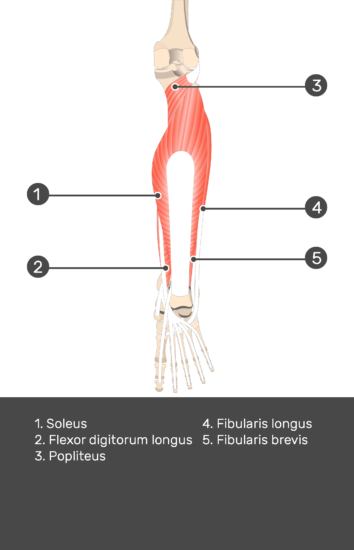 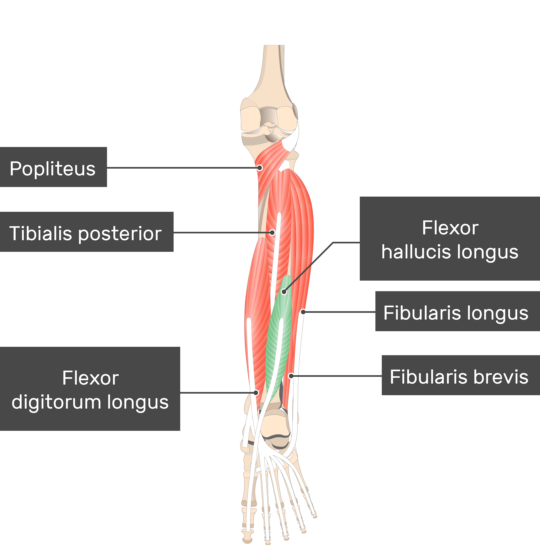 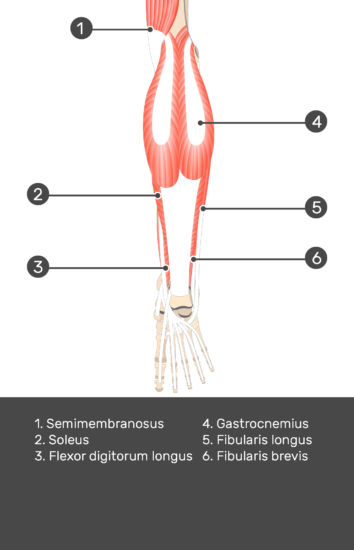 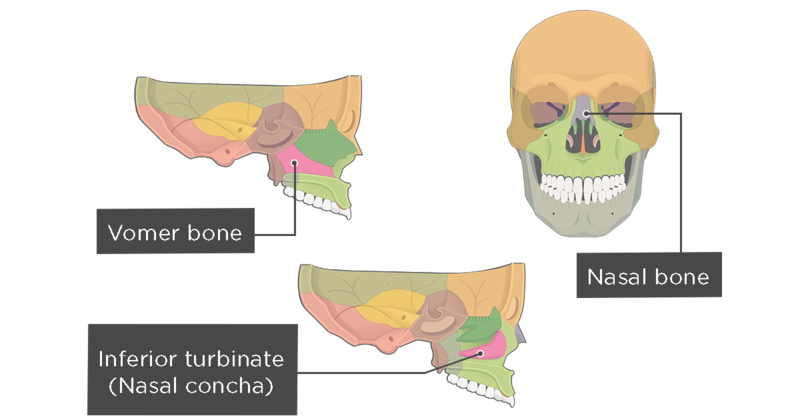 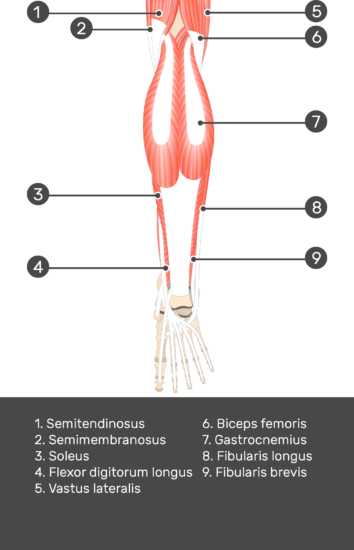 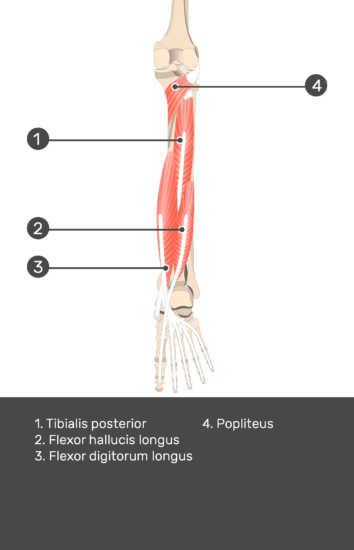 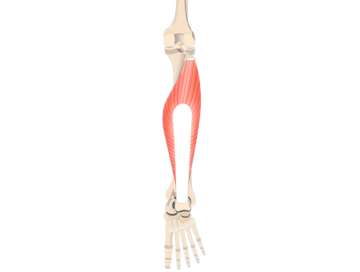 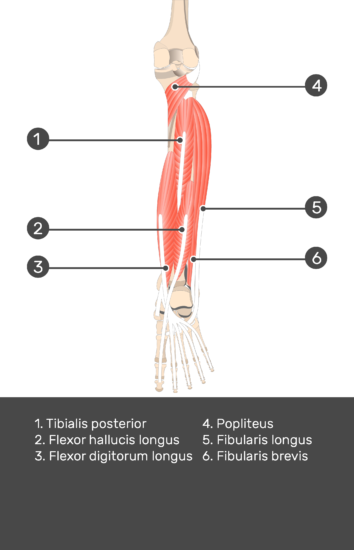 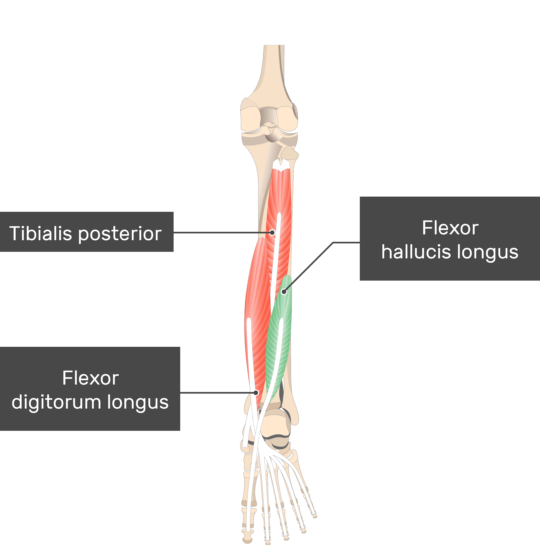 Tibial nerve (L5, S1, S2).